Commemorating the dead is usually a gloomy occasion. Well, not in Manitou Springs. 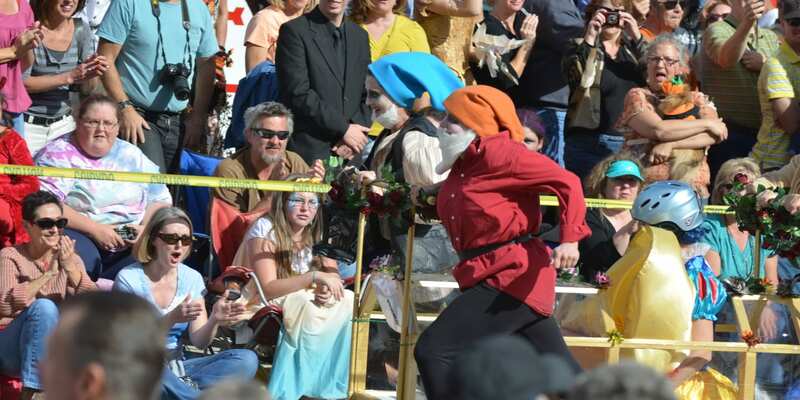 Celebrate autumn and the Halloween season at one of the weirdest events in Colorado, the Emma Crawford Coffin Races. In the early 90s, the town of Manitou Springs was looking for ideas to boost local tourism. It was in 1994 that they decided to put fun into the funeral – by creating an event that aims to honor, though fun and crazy at that, one of the most notable persons in the town’s history, Emma Crawford. They started the first Emma Crawford Coffin Race. Emma’s legend lives on, as the event is already in its 25th year. Happening on October 26th, 2019 at noon, the annual event will be participated by 70 teams. Each team is composed of one ‘Emma’ and four runners, all dressed in their own costumes. 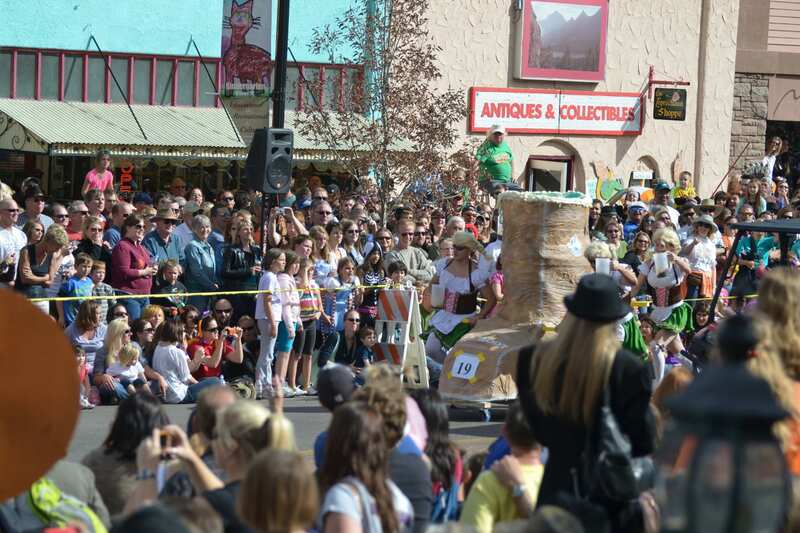 The fastest times to finish the 195-yard track along the Manitou Avenue will earn trophies. Other special awards will be up for grabs as well, such as Best Entourage, Best Coffin, Best Emma, and Miss Emma, which is a new special award for this year. A then 17 year old woman, Emma Crawford moved to Manitou Springs in 1889 to be with her fiancée. Suffering from tuberculosis and being very spiritual in nature, the young lady was hopeful that the clean mountain air and natural mineral springs would be the cure for her affliction. Like many others who traveled the place, she went on a hike up a nearby mountain, called the Red Mountain, and got so inspired by its sheer beauty. As such, she developed an unusual connection to it and told her fiancée that should she succumb to her disease, she wanted the top of the mountain to be her final resting place. Two years after, Emma passed away. Her wish was honored and was given a proper burial on the top of the Red Mountain. A couple of decades had passed, a railroad company started a construction in the same place. Consequently, Emma’s coffin was forcibly relocated. Apparently reburied in a reckless manner, her coffin got easily dislodged after a heavy rainfall, and her remains raced down the mountain into the canyon below. Gaining both national and international attention, attendees come from all over the country to witness this spectacle of the spooky and the bizarre. With an expected attendance of over 12,000, audience safety will be strictly observed. Race officials may disqualify participants whose coffins may bring a potential danger. This three-hour event is FREE. The race will be preceded by a coffin parade. There will also be a free Coffin race after-party featuring a beer garden and some live entertainment by Dragondeer in the Soda Springs Park at 4 PM. Without a doubt, there is FUN in the word funeral in Manitou Springs.